This gravity powered logic maze is sure to put your visual perception and reasoning skills to the test. The colorful, translucent towers can be arranged in a plethora of visually stimulating structures but, for each challenge, you’ll have to think carefully to build a path that will successfully carry your marble to its target. 60 challenges, ranging in difficulty, will give you plenty of creative building time while you maneuver the maze in your mind! Ages: 8 to adult. Players: Single player. 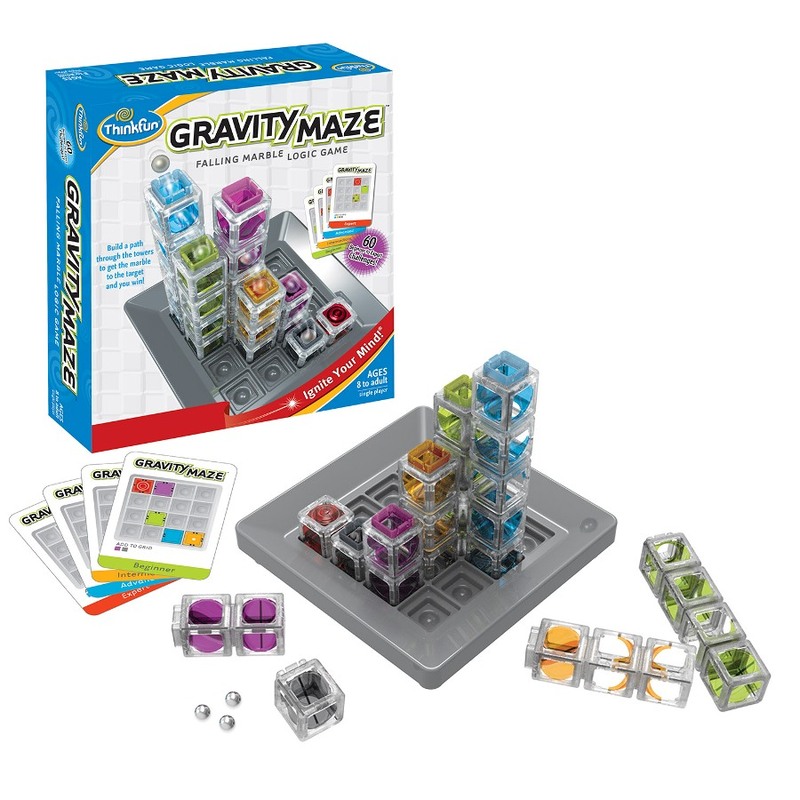 Features: 1 Game Grid, 10 Gravity Maze Towers, 3 Marbles, 60 Challenges from Beginner to Expert and Instructions. This product was added to our catalog on 02.12.2014.